Bringing warmth and protection in cooler waters. 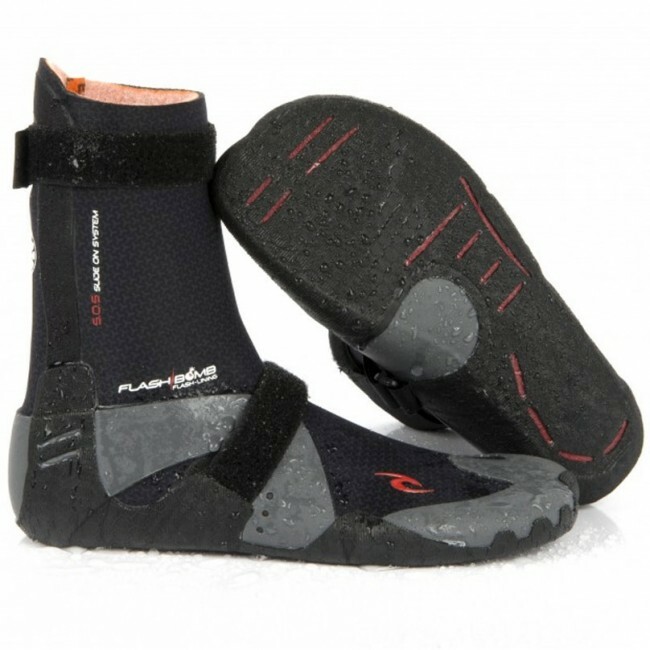 the Rip Curl Flash Bomb 3mm Split Toe Boots offer maximum board contact and the supreme comfort of cozy Flash Lining. Made with a hidden split toe design, the Flash Bomb HST Booties can provide a slightly wider spread of the foot creating improved balance. Constructed with a low-profile, super soft sole, and built using 100% E4 Neoprene, these cool water surf boots remain flexible and will keep your toes warm for many sessions to come. Wear a 7 1/2 in shoes/heels/boots. Bought these in 8 because that was closest size in stock. Very pleased they kept my feet warm and only a tiny bit of water made its way in. Only con was took a long time to dry out. Twice as long to dry as my whole wetsuit. These boots are not true to size. They run very, very small. Had to return for a larger size.